With time to spare in Florida, BTN’s Richard Cawthorne finds the ideal place to get away from it all. I am walking down a main street called Periwinkle Way. The setting sun is directly ahead, sinking slowly into a deep-blue sea fringed by golden sand so fine it squeaks when you walk on it. I could be in the Caribbean, but I’m not. If you think of boisterous theme parks and a certain mouse when someone mentions Florida, think again. Granted, visitors more familiar with the Sunshine State know there are beaches as well, but they tend to be busy and not far enough away from the daily hustle. This is the other side of the picture, due west of Miami at the other end of a road they call Alligator Alley, on an island called Sanibel. You won’t get completely away from it all here. Its placid atmosphere has made it a popular place for people of means to build their mansions – or at least a discreet tropical Florida version thereof – along the shore beyond Periwinkle Way, but somehow they are less obtrusive than their cousins in, say, the Hamptons in New York or Newport, Rhode Island. And development on Sanibel in any case is naturally restricted by the fact that a third of the island is given over to the Ding Darling Wildlife Refuge, an enduring monument to at least some Americans’ respect for nature. Strict zoning rules and attractive Floridian architecture making much use of naturally-aged wood and pastel colours take care of the rest. 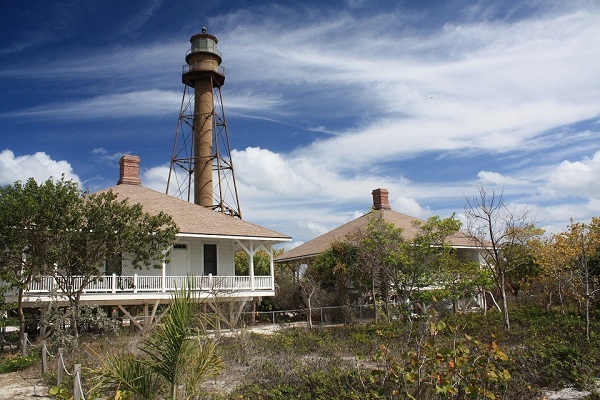 The easiest way to reach Sanibel is by car from Miami along part of the Interstate 75 highway, a four-lane road running straight as an arrow west across the wilderness of the Everglades. This 75-mile link has been called Alligator Alley ever since it opened in 1968 as a two-lane state road, but the modern version, opened in 1993, has robbed it of much of the atmosphere the name invokes. Far more fun and with lots more to see is the parallel US41 road, known as the Tamiami Trail, a name derived from the cities at each end, Miami and Tampa. The Alligator Alley route takes about 2hr to reach Sanibel; US41 about 2hr 30min. Once visitors have crossed the causeway from Fort Myers to Sanibel, they find a good choice of places to stay, from B&Bs to hotels. Among the latter are Island Inn, Sundial Beach Resort and Spa, Casa Ybel, Sanibel Moorings and the West Wind Inn, while the neighbouring island of Captiva – another little gem – boasts the South Seas Island Resort and ‘Tween Waters Inn. 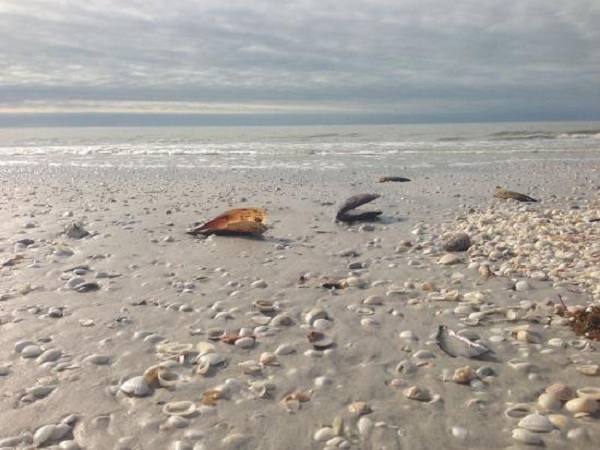 Among other attractions, Sanibel is known for its profusion of seashells. There are considerably more of them than people, a collection replenished constantly by the wave action of the Gulf of Mexico. Collecting the shells to take home as souvenirs is by far the most popular activity here, giving rise to the activity known as the Sanibel Stoop, which is what you do when you bend down to pick them up. As with any US holiday destination, finding a restaurant is no problem. Sanibel has more than 50 at last count, with the Blue Coyote Supper Club on Par View Drive the current favourite. Also popular are the Island Cow, Il Cielo and Traders Gulf Coast Grill and Gifts, all on Periwinkle Way, but if you seek something different, head for the Bubble Room on Captiva. Trust me, it’s a surprise. Above all, Sanibel is a place to go to relax. There is golf and fishing and sailing, but, as the local tourist board puts it, the island provides “a chance to get away from the hurly burly, a chance to draw closer to nature”. I can only agree. Brings back great memories of a lovely family holiday in the mid 80s on Sanibel.Lovely beach walking,practising the Sanibel Stoop.We took an Air 2000 757 to Fort Myers,tech stop Bangor Maine outbound.It seems that the "get away from it all"feeling still prevails which is good news.